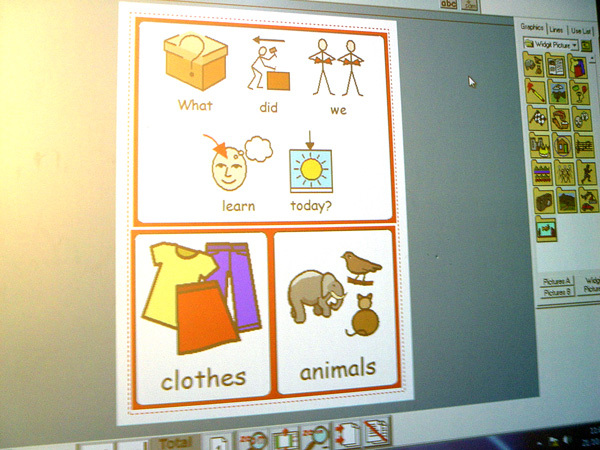 Class 1G have been working on matching pictures and words involving familiar objects. A new theme has been chosen for each session. We have been looking recently at different types of clothes that we wear, and then how to say and sign some of these names. This is also an exercise that helps to develop our listening and handwriting skills. The Class 1G pupils have been identifying the difference between shoes, trousers or a jumper. We use these sessions to help the class members build upon their group strengths. We encourage all pupils to support one another, especially so at the end of each session when we recap on what we have learnt. Each pupil is invited to select a picture on the class whiteboard, and then to identify if this fits in with the theme that we have been looking at for this session.